I just want to take a second and look at Carbohydrates. This topic came to mind the other day, it could have been because of my school reading that day or perhaps because I just saw a pin on Pinterest, the pinner had described a “pineapple and angel food cake” as “carb free”, when it wouldn’t even fall into a “low carb” category. So I figured I have a blog so I have the opportunity to share some information about carbohydrates with my readers. We all know about carbs, they are devil, they make us fat, they should be avoided at all cost…right? Oh my goodness NO! Carbohydrates aren’t the devil they are actually the only source of energy that our brain and central nervous system can use, so they are very very important, they are good for you and they should be consumed daily. I am sure you have been there and if you haven’t you have had a friend that went on a low carb diet either to lose weight or maybe he/she was prepping for a fitness competition or something of the sort. Whatever the reason take a second now and think back, did they seem a bit “slower“, did they/you walk into things more frequently, and just seemed to make a load of silly mistakes? It is pretty likely that they did because their brains were starving. Eliminating carbohydrates will provide you with weight loss of course, but personally I don’t feel that cutting them out of your diet completely is a healthy choice. 1. Simple: Simple Carbohydrates are easily digested and used by your body, think fruits, honey, maple sryup, milk, candy, etc. These are great when you need a quick burst of energy, they spike your blood sugar, and get your body ready to move. Marathoners for example are likely carrying around candies (or some other type of fuel) because there is no way they could eat enough before their race to sustain them for 3+ hours of running. Carrying around something like candy will give them the quick boost they need to keep going. 2. Complex: These guys take a bit more for your body to break down. You body has to work a bit longer to break down the molecules into simple sugar so that the body can absorb them and use them for energy. Think sweet potato, whole grains, carrots, beans, etc. It is great to eat these at the beginning of your day to provide you with energy as you move through your day, they are also great for before workouts or any intense type of activity. 3. Fiber: Not really a carbohydrate because it doesn’t generate energy for your body, they go on through you and help you out with elimination. Think of “roughage” kale, celery, bran, flax, etc. It is just good to have a healthy dose of this in your diet, fiber helps to clean our your intestines and make sure little food bits aren’t just hanging around fermenting in there. Who doesn’t like a good bowel movement…alright that comment maybe took it a bit too far. Each of these types of carbohydrates have important functions, like delivering important vitamins and minerals to our body, so we need to eat them up. Unfortunately, our society seems to run into a road block because the word carbohydrate has started to only refer to highly processed, sugar filled “foods” like white bread, sugary cereal, and white pasta. Sure these are carbohydrates but they are so ridiculously processed it is hard to call them food with a straight face. I guess what I am getting at here is that carbohydrates aren’t the devil, processed foods are real culprit here. All of that being said we all have our vices and we all choose our evils, but carbohydrates really shouldn’t be one of them. Sure protein is good for us it helps build our muscles, and yes, you are right eating a loaf of French bread is probably not a good idea if you are trying to be healthy or eat clean, but eating a handful of carrots with some hummus, a bowl of bean salad, or fruits is probably a great idea if you are trying to trim down or just eat healthier. So before you get on the carbohydrate hating bandwagon remind yourself about how delicious those berries are and how good they are for you. It is all about making quality choices and doing the best you can for your body. I hope this post can help you look at carbs a bit differently. 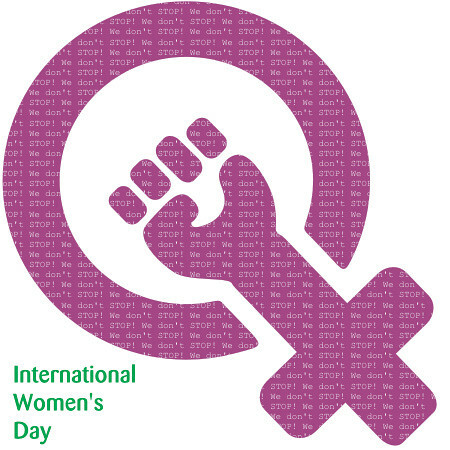 Don’t forget tomorrow is International Women’s day! Find the powerful, helpful, sweet, hardheaded, energetic, amazing women in your life and let them know you are grateful for their existence.